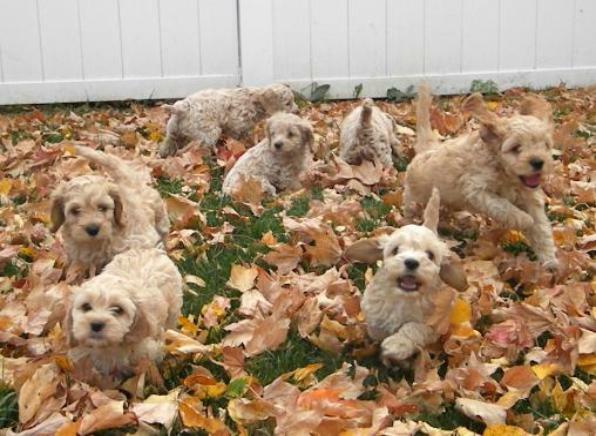 and F1B Petite Labradoodle puppies IN OUR HOME in Western Wisconsin. Since they are our pets, and they live in our home, they receive a tremendous amount of love and affection. them much more hypo-allergenic. This is great for any of you who happen to suffer from allergies! Please talk with us if your family has concerns about allergies. We are just a short drive from the Twin Cities of Minneapolis and St. Paul, MN and are right off Interstate 94. 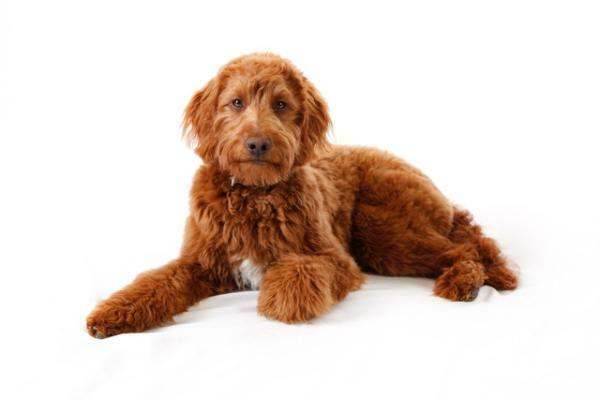 If you live too far away, we can have your puppy driven or flown to you for an additional cost. 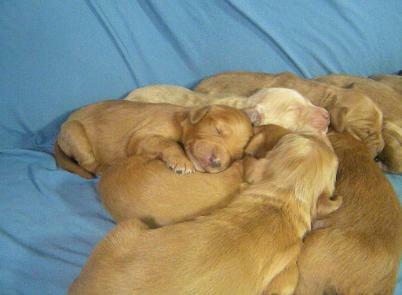 Please take some time to explore our site and see how we are different from a lot of other breeders. 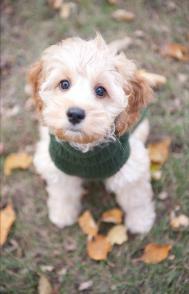 Are bred for TEMPERAMENT, HEALTH and HYPO-ALLERGENIC COATS. Have happy, health screened parents with great bloodlines. Are sold by trustworthy people. Have their tails left intact. We love to see happy, wagging tails! Are extremely healthy due to "Hybrid Vigor". Are up to date on their shots and de-worming medicine. Are health checked by our veterinarian. Come with a health guarantee. See our FAQ's page for more info on our health guarantee. Come with a life-long support system. If you ever have a question just give us a call! FOUR PUPS! 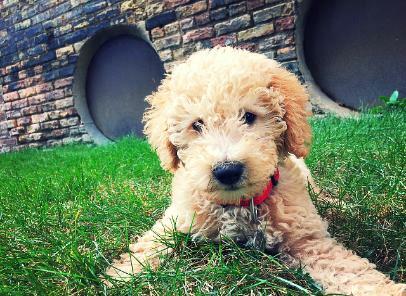 Please visit our "Golden Doodle Puppies" page for more information. in mid-September. 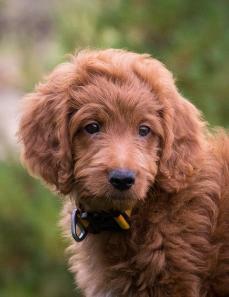 Please visit our "Irish Doodle Puppies" page for more information. WELL SOCIALIZED and a joy to be around.